Everyone knows that the kitchen is the heart of the home. 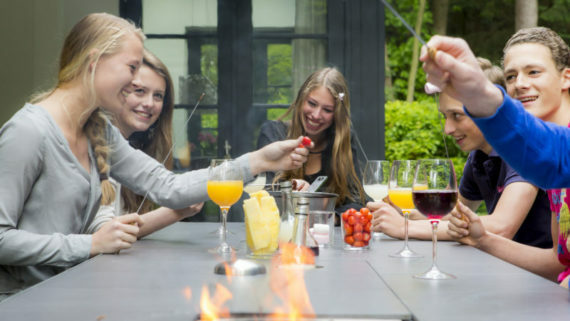 It’s where family and friends gather to enjoy the comforts of food and the company of those they love. When your kitchen is outdated or lackluster, you may tend to shy away from hosting gatherings. You may find that you aren’t spending as much time as you like in that specific area of your home. A remodel can bring new life into your space but financial concerns may be holding you back. Keeping the current layout of your kitchen will keep your remodeling costs down. It prevents restructuring of cabinetry and countertops, as well as moving gas lines and adding electrical outlets. Plumbing may also be affected if you reconfigure the kitchen. Permits may be required if there are any major renovations, so be prepared to add those figures into your budget before you start the project. Replacing all of the cabinets in your kitchen can get very costly. For this reason, painting your existing cabinets may be the choice for you if you are watching your budget. There are a wide variety of paints on the market that can transform your cabinets from old to trendy very easily. You may also opt to have your cabinets professionally refaced. It is much cheaper than buying all new cabinets. They look brand new and nobody will know that they aren’t. It can get expensive when updating the flooring in your home. If you aren’t sure of the various options available on the current market as well as the trends, speaking to a professional designer is your best option. In doing so, you will be able to see the variety of price points and what fits perfectly into your budget. With the multitude of options, such as: laminate, hardwood, porcelain, ceramic, bamboo, cork and many others, it can feel overwhelming when trying to tackle it on your own. 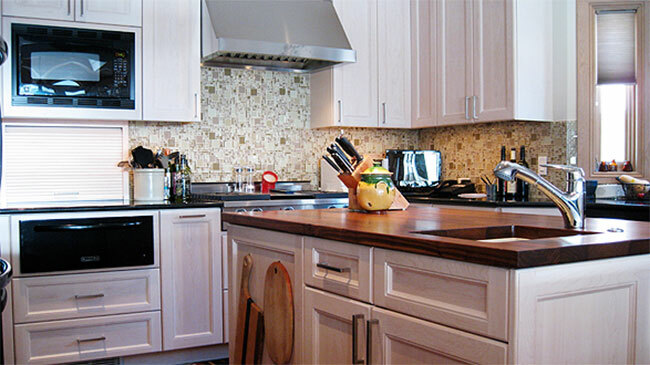 Adding a backsplash is a very budget friendly way to give your kitchen an easy facelift. The mediums that are used for backplashes these days are incredible. You can choose from simple subway tile, mirrored glass, embossed tin, stainless steel, and more. Depending on the space that needs covered, you may be able to use a higher end tile and remain within your cost boundaries. Updating old light fixtures is inexpensive and can make a world of difference in the appearance of your kitchen. For example, adding can lights to dark areas and LED lighting under the cabinets are excellent ways to brighten up the space. Pendant lights, strategically placed over an island or breakfast bar, are also very effective in bringing style back into your kitchen. Dated window treatments can be replaced with trendy, more current styles. Speak with designer who can suggest the best look for you. If it is within your budget, consider replacing old windows with models that have the blinds already built in. This gives the room a clean and open feel. They are also very easy to clean. It’s always a good idea to keep your kitchen fresh and updated because it’s one of the most used rooms in the home. Simple remodels are the best way to do so. Take your time to weigh out all of your design options and balance them out with the budget you have in place. Trust the opinions of an established remodeling business to give you the best advice and quality workmanship.